The long-running, highly successful relationship between Don Schumacher Racing and Dodge//SRT and Mopar will continue with the announcement of a new multiyear sponsorship agreement to kick-off the 2019 NHRA Mello Yello Drag Racing Series season. The relationship began during the 2003 season. 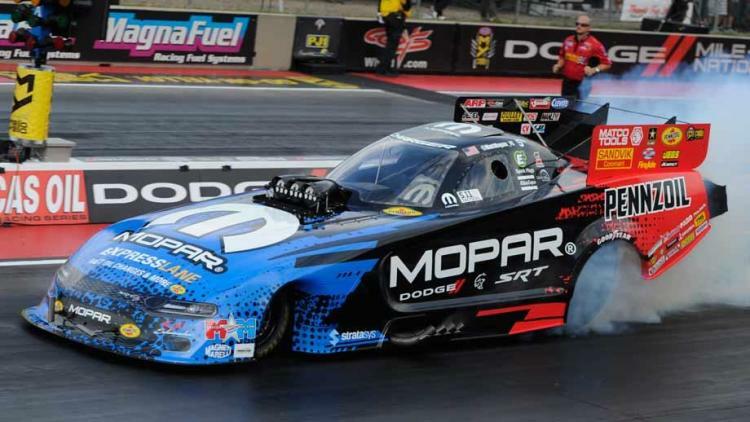 DSR Mopar-powered Dodge//SRT teams have claimed 12 championships in Funny Car, Top Fuel, and Factory Stock Showdown, beginning with Tony Schumacher’s 2004 Top Fuel title and the latest, Leah Pritchett’s 2018 Factory Stock Showdown crown. The first triumph for the partnership came in Englishtown, N.J., when Whit Bazemore turned on the win light, and the most recent victory was captured in October 2018 when Ron Capps scored the 252nd for a DSR Mopar-powered driver. The bar is set high with the goal of increasing those numbers starting in Pomona, where Hagan returns as the two-time defending event winner of the season-opening Lucas Oil NHRA Winternationals at Auto Club Raceway. Pritchett, who won the final three Factory Stock Showdown races in 2018, will begin her title defense in that class at the 50th annual Amalie Motor Oil NHRA Gatornationals in Gainesville, Fla., March 14-17.